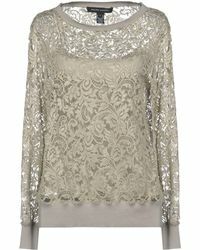 Founded in 1968, Ralph Lauren is the eponymous ready-to-wear label from the New York designer of the same name. 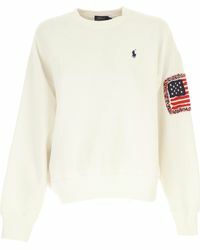 Now one of the most influential and iconic fashion houses in the world, the label has a preppy, all-American aesthetic that translates through all its lines. 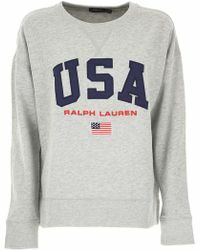 Bringing together sophisticated style with sportswear influences, Ralph Lauren sweatshirts are perfect for updating casual and active wardrobes. 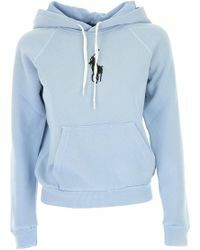 Featuring fresh colours, premium fabrics and the iconic polo player logo, Ralph Lauren sweatshirts will become easy-to-wear staples for all modern women. 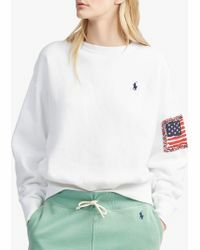 Showing 89 results for "Women's Ralph Lauren Sweatshirts"